The Minorca is certainly meant to be an egg laying bird. While their egg-laying has slowed since there original conception, they’re still exceptional layers. While not specifically bred to be dinner birds, you can still get a decent meal out of them. There is also a bantam version of the Minorcas that tends to be more popular within the show circuit. Minorcas are known to be flighty birds that don’t generally make great pets. In addition, the males are typically fairly aggressive and can’t be kept together without fighting. This is only really with other chickens though, so don’t worry about handling them too much. They don’t particularly like being confined, so a large run would be a great for their active nature. 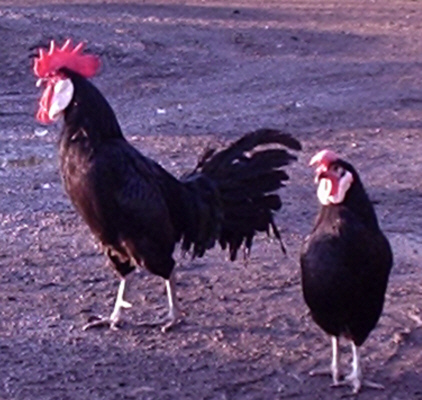 The Minorca is sometimes called the “Red Faced Black Chicken” because they are large black chickens with red faces. 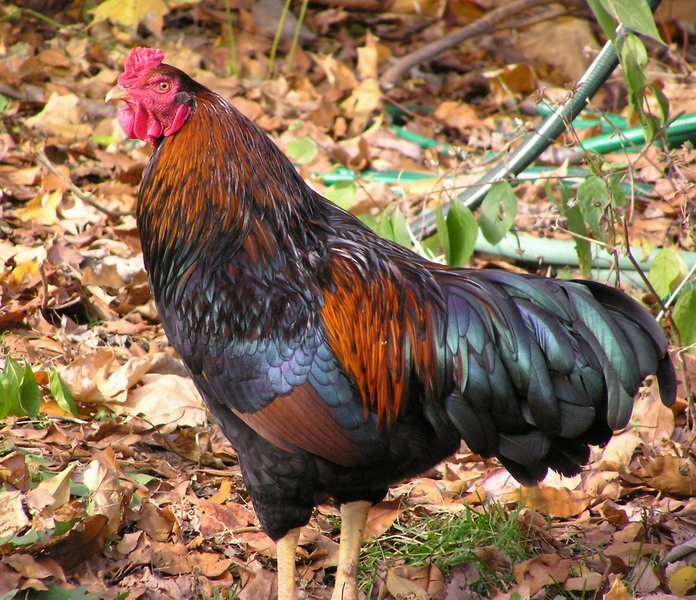 They have large red wattles and singular large red combs that tend to flop to the side. Some do have rose combs as well. Their ear-lobes, however, are white. 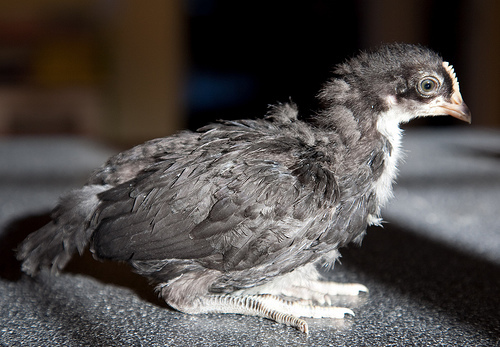 They have full feathered tails that are carried low. Their bodies are covered in a single color of feather most of the time, typically the iconic black that the breed has come to be known for. Minorcas are powerful jumpers, a quality they take advantage of frequently. They can even get an added boost by flapping their wings despite their relatively large size, so if you plan on keeping Minorcas, you’ll need a larger fence to prevent escapes. 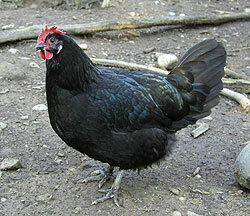 Also, their larger combs and wattles can freeze during winter, so they need warm coops to avoid this. 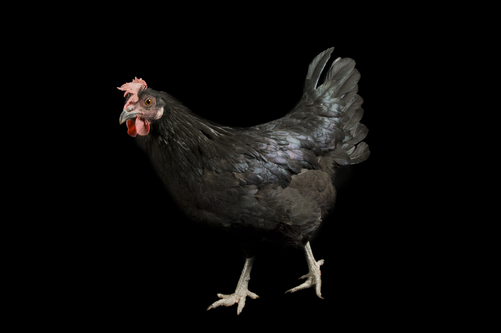 The Minorca, while originally bred specifically to be high-quality egg layers, have since lost much of that superior ability. 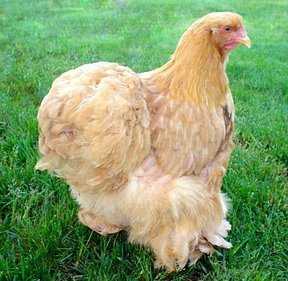 The reason is that nowadays breeders don’t focus so heavily on egg laying, instead looking to replicate specifics in the breeds to make them work as show birds.